Students at St. Agnes Academy-St. Dominic School are celebrating Catholic Schools Week with a variety of activities focused around the Four Pillars of our Dominican tradition: Study, Prayer, Community and Service. In our classrooms students are making cards for the priests in our Diocese and writing essays, creating bulletin boards and artwork, and making videos explaining the many things they love about their Catholic school. Our students are exploring their love of reading through our Book Fair this week. During the week students will gather as a community in prayer to celebrate Mass, and we have invited our grandparents to join us in this celebration. Our students are celebrating community through a special Spirit Day showing off their Stars and Suns school pride! 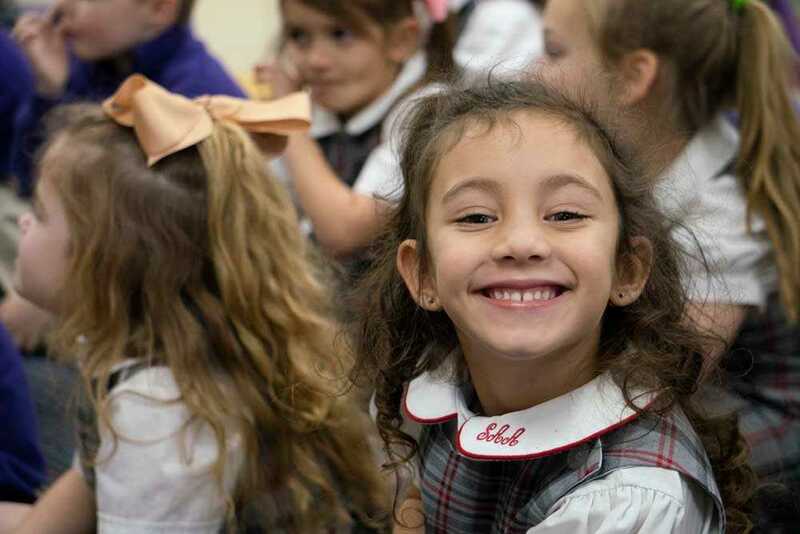 Service is an integral part of all we do at St. Agnes Academy and St. Dominic School. This week the Lower School is holding a “baby shower” for Birthright. Students are collecting baby clothes, bottles, and blankets to assist Birthright in its mission. Upper School students have assembled care kits, which are being delivered, to Manna House and the St. Vincent de Paul to be shared with the homeless in our community. Loving God, let thy blessings be upon St. Agnes Academy-St. Dominic School. Help us to seek the truth, to stand up for the rights of others, and to promote justice, respect, and peace in our school and world communities. Inspire with love and goodness both those who teach and those who learn. Give us the grace to walk in the footsteps of Jesus loving and forgiving of others. We ask these gifts in Jesus’ name through the power of the Holy Spirit. Amen. SAA Junior Rachel Heck Competes in 3rd L . . .